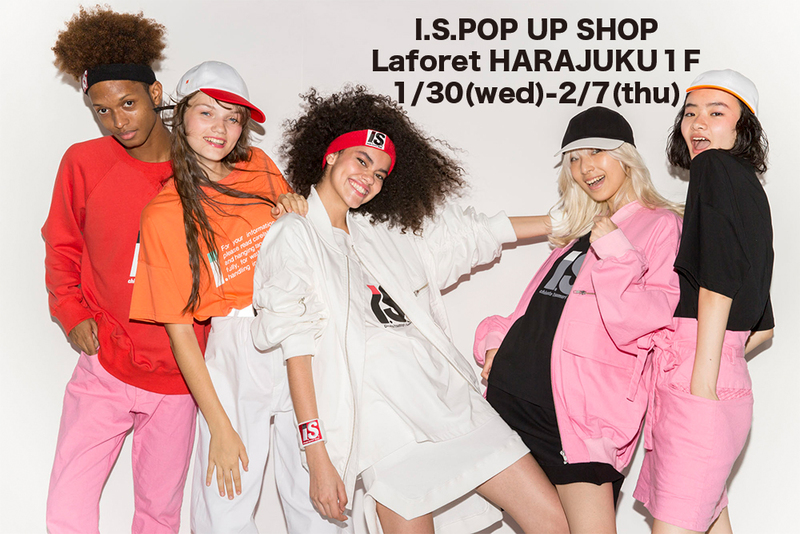 1月30日(水)より Laforet 原宿 1F エントランススペースにて、スペシャルポップアップショップとして期間限定復活!! opened in the entrance space on the 1st floor in Laforet Harajuku. before she launched her own brand, TSUMORI CHISATO. This pop-up store is the only place you can see the full lineup of I.S. collection. Blousons, sweatshirts, T-shirts and more items with I.S logo will be available. Let’s check out the street fashion in Chisato’s style on Instagram too!